Sometimes when you did through family history pictures you get a surprise. My Uncle Bill (William Zoromski), whom I had only met a couple of times once when I was 6 and another time when I was sixteen, reportedly served on the USS Providence, a guided missile cruiser that I supposedly toured in 1959 when I was six. 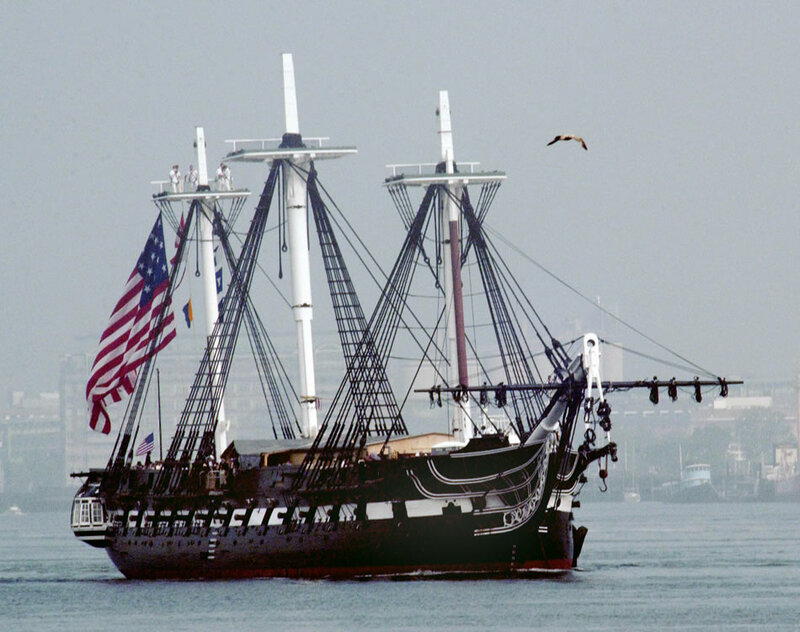 I do not have a memory of that tour but do vaguely remember touring the USS Constitution in Boston Harbor in the same week. The story was that Bill served as caretaker crew on that famous ship. How that squared with his duty on the Providence I do not know but then again I was only six and it was a long time ago. 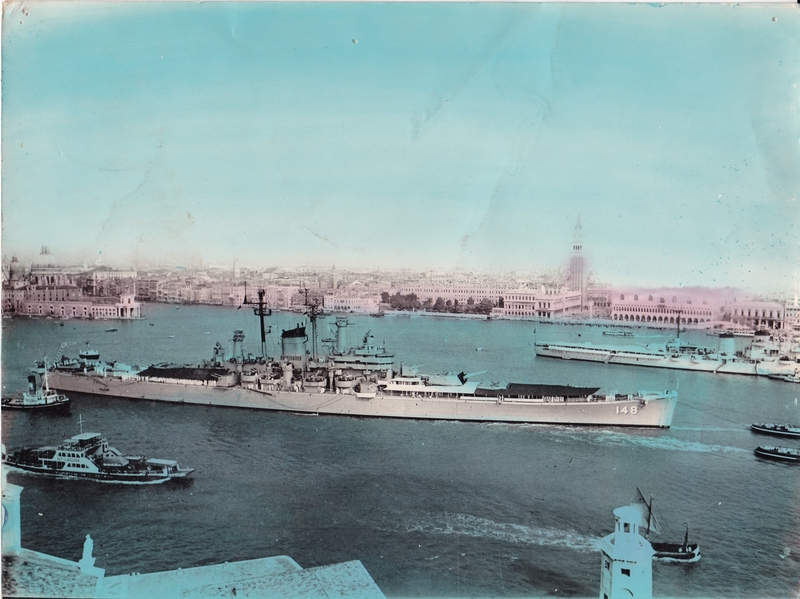 So, for years in the family photos the above picture of the cruiser was thought to be the USS Providence the ship my uncle served on. The only problem is the numerical designation of 148 which tells me it is the USS Newport News. The USS Providence looked like the below picture and was a WW2 era converted light cruiser. The only explanation I have for the discrepancy is the my uncle was life-long US Navy. My guess is that he served on both ships sending to my mom the picture of the USS Newport News which she later identified as the USS Providence, the ship we toured when I was small. 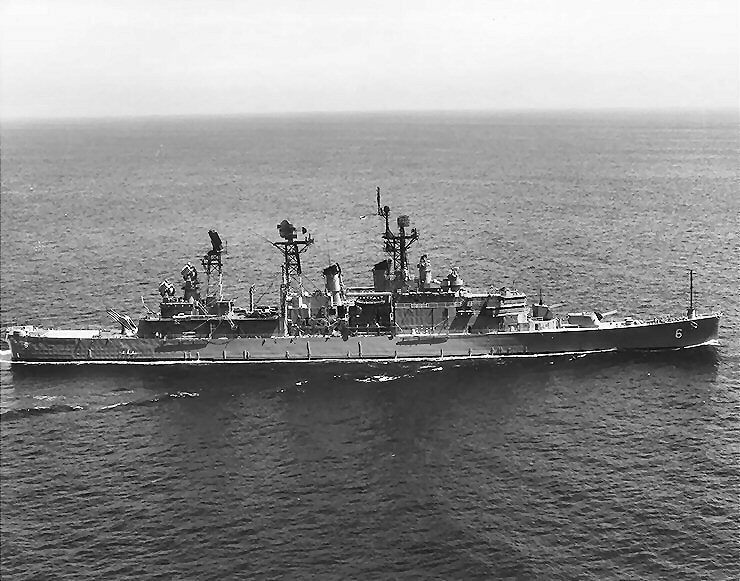 In any event, both of these ships helped keep the peace during the long Cold War. When my uncle Bill visited us when I was sixteen I was thinking of enlisting in the Coast Guard. It seemed to be a better option than getting drafted and pounding the rice paddies in Vietnam. Uncle Bill mocked that with a twinkle in his eye by saying those guys only go in water up to their knees. He encouraged me to join the Navy. 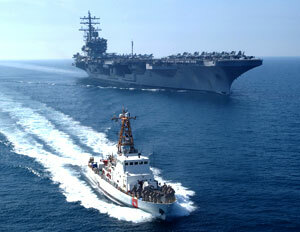 Coast Guard escorting a US Navy Carrier. Uncle Bill told me to not join the CG because they only went into the water up to their knees. I ended up in the Army missing out on what I thought I really wanted to do-sea duty of some sort. A relative I was unaware of recently wrote me to tell me Uncle Bill died under mysterious circumstances. My mom thought he died of a disease related to alcoholism which was probable given his capacity for beer. Whatever the truth Bill was a Navy guy through and through. He served over 25 years enlisting in 1945. I wish I had gotten to know him better.